Saudi Arabia says reports several weeks ago that a senior prince secretly visited Israel were unfounded. Saudi Arabia on Sunday denied that any of its officials had visited Israel, several weeks after Israeli media reported that a senior prince had made a secret diplomatic trip to the Jewish state. Public radio station Kan Bet reported several weeks ago that a senior member of the Saudi royal family held high-level talks with Israeli officials during a clandestine trip to the Jewish state. 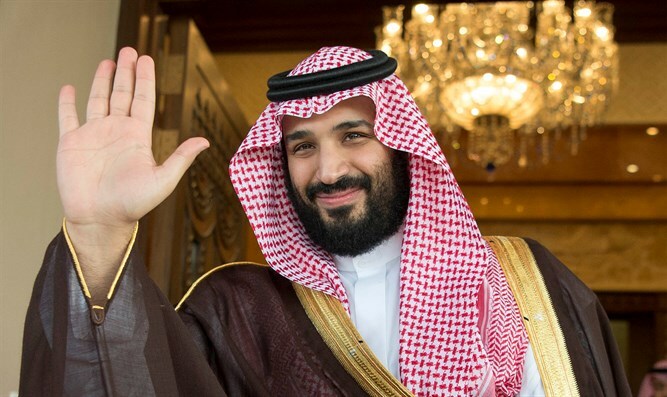 An Arab media outlet later identified the reported visitor as Saudi Crown Prince Mohammed bin Salman, the Defense Minister of Saudi Arabia and heir apparent to the throne. "Saudi Arabia has always been transparent as regards contacts and visits" to foreign countries, the spokesman said in a statement carried by the official Saudi SPA news agency. Israeli officials never confirmed the reports of the Saudi prince's visit, though the report came a day after Prime Minister Binyamin Netanyahu claimed that relations between Israel and the Arab world were better than ever before in Israel’s history. There have been many reports in recent years about cooperation between Israel and Saudi Arabia, but most of those have originated from Iran, Saudi Arabia's regional rival, which claimed that the Israelis and the Saudis had teamed up to sabotage its nuclear program. One Iranian report from 2013 claimed that the head of the Saudi intelligence service had met with several senior Israeli security officials, including the head of the Israeli Mossad, in Geneva. Last year, then-Defense Minister Moshe Ya'alon hinted that there were channels of communication between Israelis and neighboring Sunni Arab countries. In June, the London-based Times newspaper reported that Israel and Saudi Arabia are in talks to establish formal economic ties. Officials in Saudi Arabia denied the report, saying that the sources cited in it are American officials, who apparently hope that this will be the next development.